The winged corkscrew was first invented back in 1939, and is the most popular kind of corkscrew in households. One of the pain points we discovered while doing research is removing the foil from the bottle. Since most households don't own foil cutters, they resort to using a knife or even using the worm of the winged corkscrew to scrape it open. When developing the HOST winged corkscrew, we decided to prioritize integrating a foil cutter into the design, increasing the utility of the winged corkscrew. Designing the corkscrew with a foil cutter presented an interesting challenge. There were many geometric constraints in this particular corkscrew design, limiting our flexibility on where we could put the foil cutter. Our solution was to utilize plastic on our design. 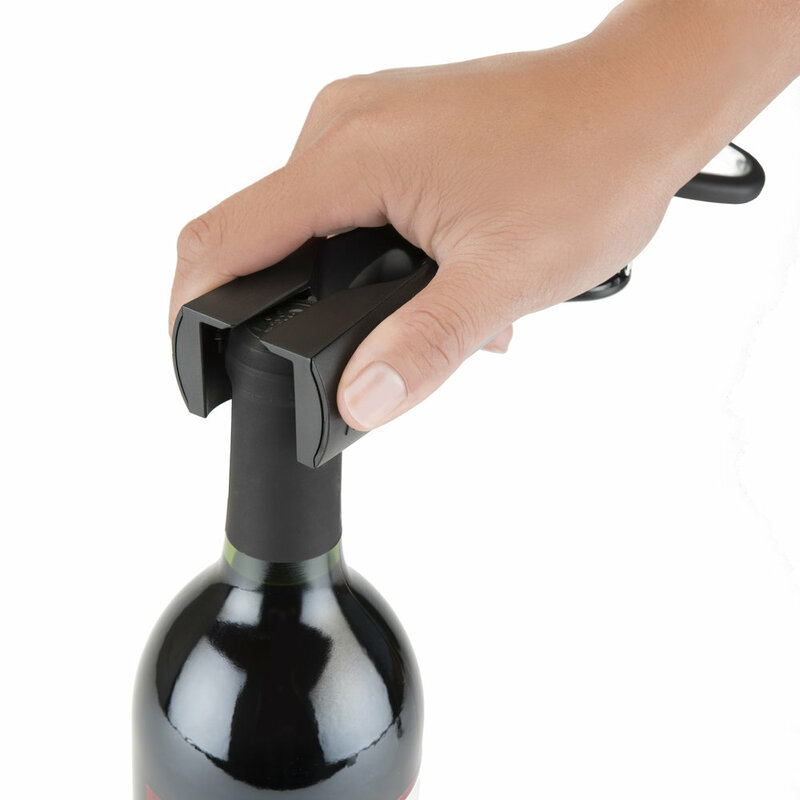 The flexibility of plastic and the placement of the foil cutter near the bottom allowed the user to flex and use the blades against the foil without interfering with the corkscrew’s core function.